An outlet for material I have uncovered in a quest to document the work of architect Joseph Lyman Silsbee. In the absence of a publisher, this is an effort to present that research to a broader public. Joseph Silsbee arrived in Syracuse, after a tour of Europe, in late 1873. 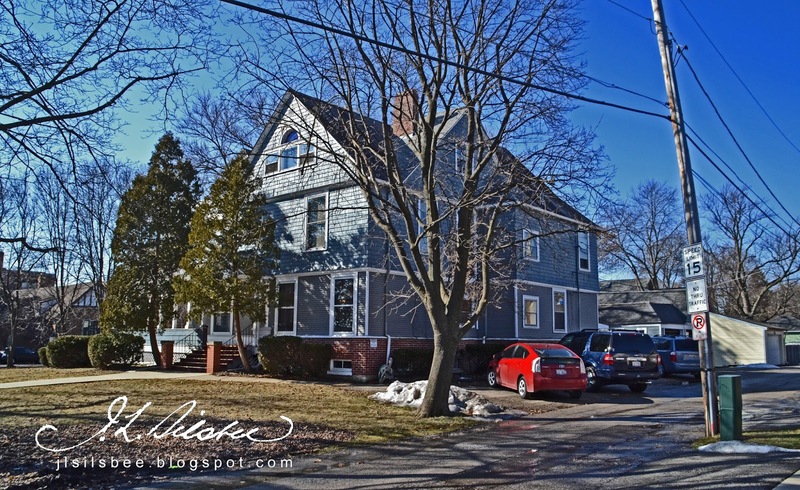 Upon arrival, he took a job with the city's most prominent architect, Horatio Nelson White. White would be taking a trip to tour Europe himself the spring of 1874 and Silsbee, with his education under Boston architect William Robert Ware, would seem a perfect candidate to run the office and take on White's teaching responsibilities at Syracuse University. Much of the character of the city of Syracuse at the time could be attributed to White's architectural vision. Many of the city's key public structures were designed by him including the high school, armory, courthouse, and countless homes, churches and business blocks. The look of the city was a tight assemblage of carefully frosted Italianate and Second Empire structures. The dirt streets with an occasional paved crossing were neatly lined with young trees. The city was dotted with pretty little green parks, lushly planted, decorated with replica classical figures and elaborate cast iron fountains. 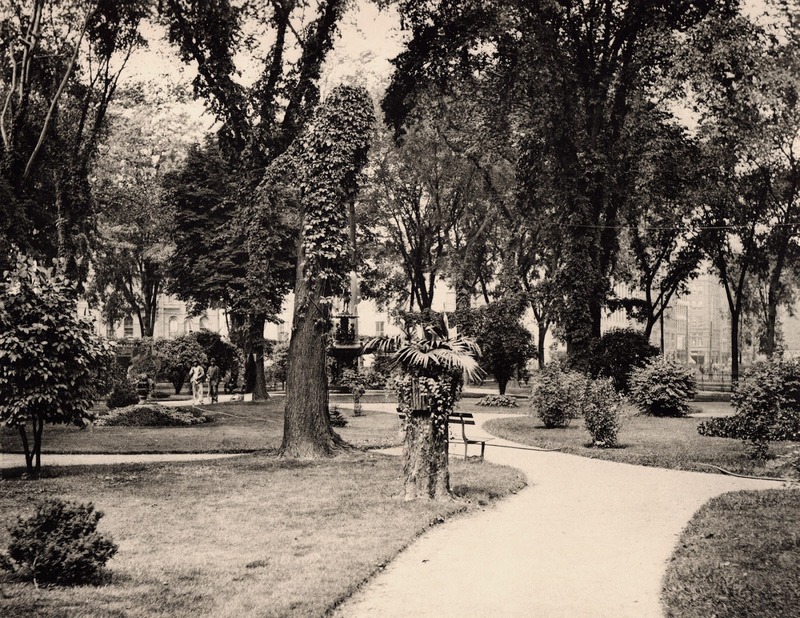 View of Fayette Park, one of Syracuse's early downtown squares from Artwork of Syracuse (1899). The life blood of the city came from acres upon acres of flat lands between the downtown area and the lake, covered with distinct linear rows of salt sheds. In the sulfur air, this man made plank river was raked in the warm sun and teams of men gathered the snowy harvest in tightly woven willow baskets. 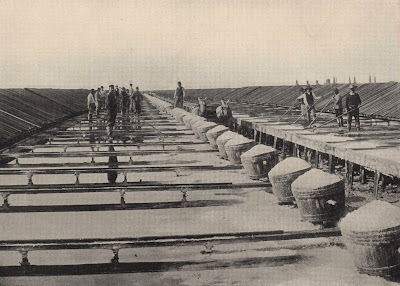 Barrels of salt were fed into low wide boats that traveled up and down the canal, through the center of the city. 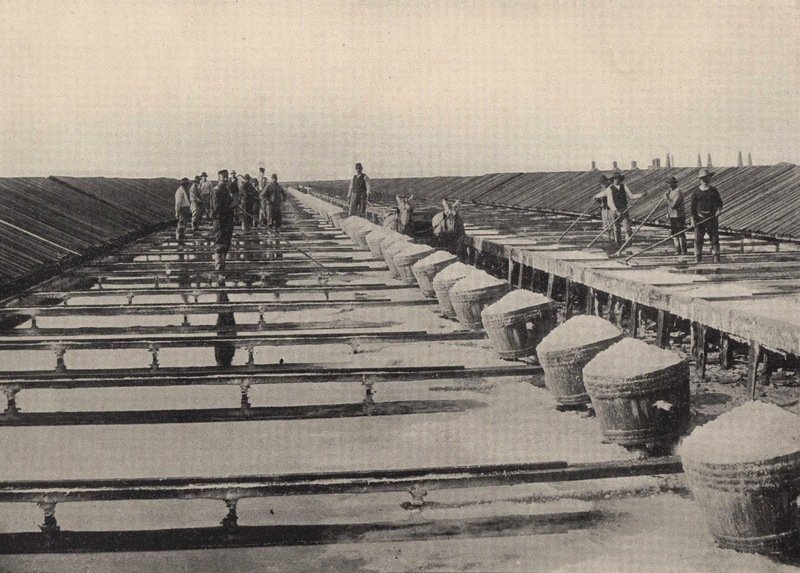 View of men raking salt along the salt sheds. Life in the city was very much guided by its industrious endeavors. The majority of the population, hard working German, Irish and French immigrants, toiled in the salt fields and along the canals. More worked as coopers, basket makers, grain scoopers, carpenters, and in the many other industrial shops, under the smoke stacks that dotted the cityscape. The captains of these industries and their families lived on forested plats in Greek and Italianate cottages along fashionable streets; West Genesee, James, and West Onondaga, almost oblivious to the rest of the city around them. Silsbee immediately found his place among Syracuse's fashionable elite, sometimes passing time at the local Opera House or at social gatherings at a grand residence or fashionable local hotel. In February of 1874, he volunteered his services to oversee the decorations at one of these gatherings. The Shakespeare hall, in the Globe Hotel, was transformed for the largest charity event of the season, a ball to benefit all of the area hospitals. A temporary chandelier, loaned by the Masons, was lifted into place, and temporary fountains and new furnishings ornamented the space. The stage was filled with evergreens, flags, and lace. The highlight of the display were tropical plants, in full bloom, loaned from the greenhouse of banker and future Syracuse mayor and congressman, James Belden. In attendance that evening were all of the grand families of Syracuse: Longstreet, Leavenworth, White, Amos, Dissel, Lynch, Jenney, McCarthy, Hiscock, Snow, Bruce, Emory, and many more. For Silsbee though, there was probably none as important as the Sedgwicks with their beautiful daughter, Anna, who within a year, would become his bride. 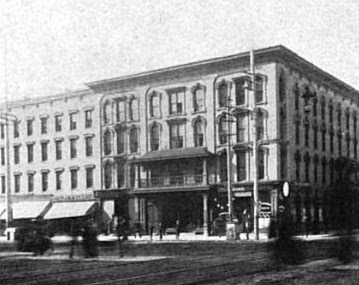 The Globe Hotel, on Salina Street at Washington Street, the site of the Great Charitable Ball of 1874. Even in White's absence, 1874 was an unusually busy year in construction. Begun three years earlier, the first building for Syracuse University's new home on a prominent hill overlooking the city to the north and the Onondaga Valley to the south, was nearing completion. Later known as the "Hall of Languages", it's appearance would be improved in 1887 with the addition of a tower designed by Ellis Hall, the man who would help oversee Silsbee's office in the 1880's. White's office was also busy with the construction of a beautiful stone church for an Episcopal congregation in the lakefront town of Skaneateles and a Presbyterian church, further west, in Geneva. In this year, Silsbee also would have first met John Moore, the prolific contractor who would go on to build two of his greatest downtown buildings. In 1874, Moore's company was hard at work completing the new Armory, an imposing brick structure with a large central tower sat in the middle of large park-like oval on a low lying area at the western edge of downtown. Though the office was incredibly busy, it wasn't the brisk construction season that would land Horatio White on the front page of local newspapers. 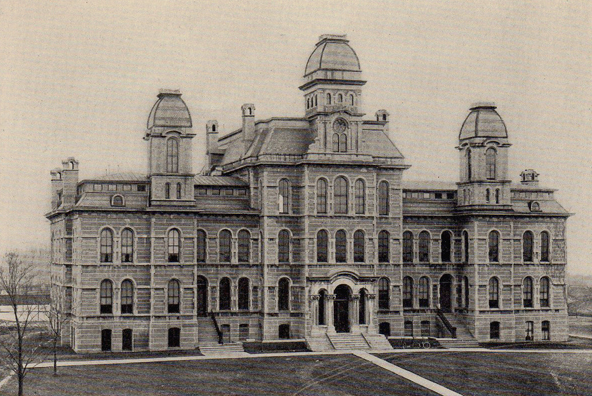 Syracuse University Hall of Languages, designed by Horatio Nelson White and constructed from 1871 to 1874. This image shows the main central tower, added by Silsbee partner, Ellis Hall, in 1887. I haven't posted about Silsbee in quite some time. I've been busy with things around my house and have been sort of sidetracked with a minor genealogy obsession. My wife opened an Ancestry account for her self a couple years ago and though I've been collecting information about my ancestors for ages, it is only over the past few months that I have started to use Ancestry in any sort of methodical way. In my paternal grandfather's line, I had never been able to go back further than a couple generations. Sine this is where my surname comes from, I couldn't help but be a little obsessed with researching that line. 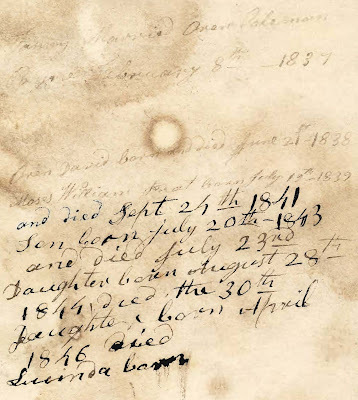 After months of dead ends, I finally connected to a woman that had a copy of a distant ancestor's bible and it had records of all of the family lines, marriages, births and deaths from Noah Strong and Lucinda Huggins' descendants. This line connects with my paternal ancestral line. Title Page from David Strong's bible. 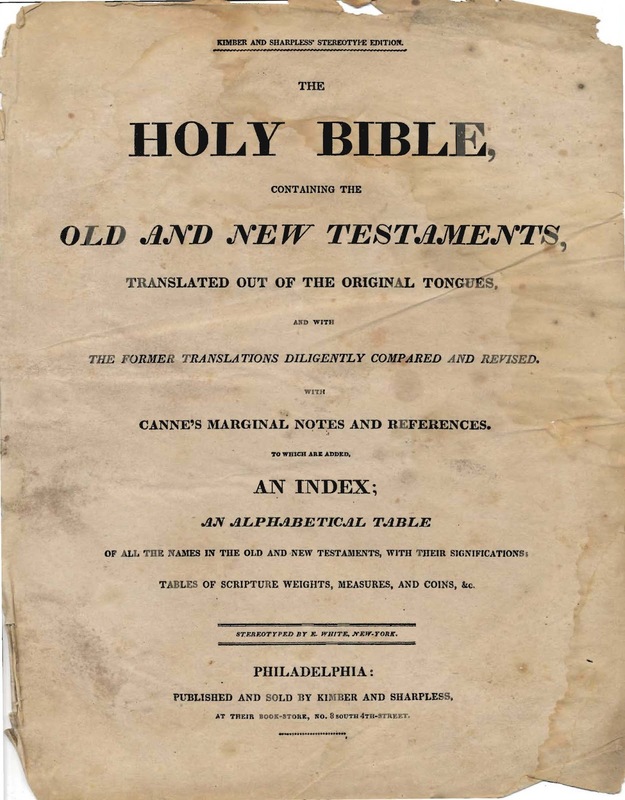 The bible belonged to David Strong, a descendant of Noah Strong and Lucinda Huggins. 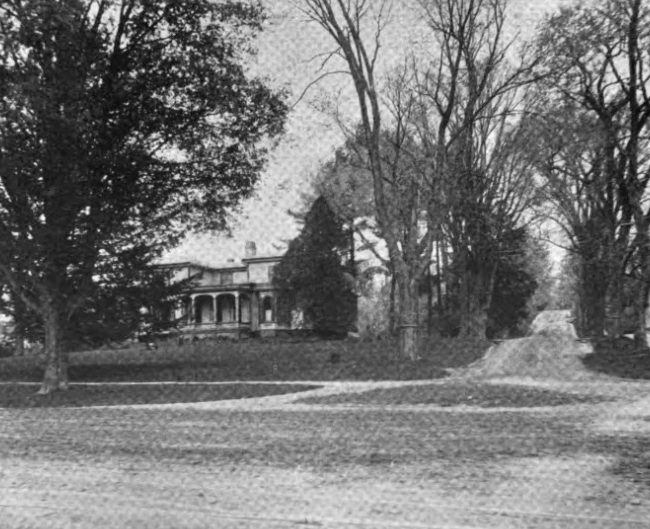 Many members of the Strong family relocated from the area around Northampton, Massachusetts to Chautauqua County, in New York State somewhere in the early 1800's. 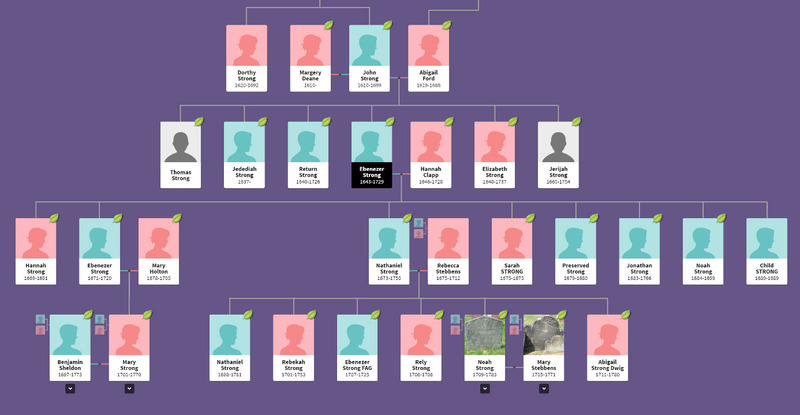 My third great grandmother, Fanny, is one of Noah and Lucinda's children. Page noting the marriage of Fanny Strong to Oren Colean Payne in 1837. It also records some of their children. 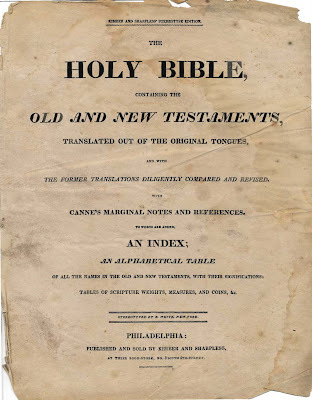 The Strong Bible is an interesting record of history because it links my family back to Mayflower passengers John Howland and Elizabeth Tilley. I found this fascinating partly because of my general interest in American history but also because I never considered the notion that I had ancestral lines that went that far back in America. While looking through these older ancestors, I found a piece that had me even more intrigued. Through Noah Strong, I was also related to Elder John Strong, an early settler of Northampton. I know I had heard the name before but couldn't quite put my finger on where it was. After a bit of mulling over, I remembered that when I was doing ancestry research on Joseph Lyman Silsbee, I came across the Strong name. Silsbee's mother, Charlotte, was from Northampton and though she died the day after giving birth to her son, the Silsbee family moved to Northampton for a period of time while William Silsbee, Joseph Lyman Silsbee's father, oversaw a church there. There had to be a connection to my family, right? 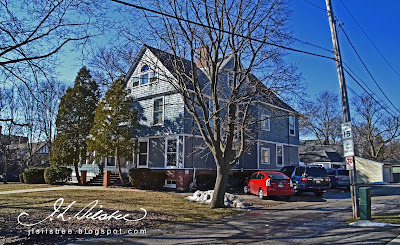 Image of the home that William Silsbee lived in when he was in Northampton. The home is still there. 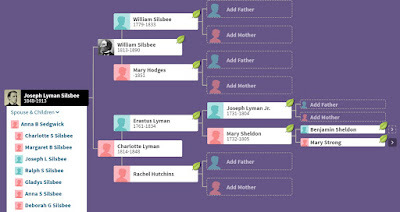 After pulling out my old Silsbee papers, I started putting his family into the tree and was shocked to see that my hunch was correct and that Joseph Lyman Silsbee and I have common ancestors. Specifically, we are both descendants of Ebenezer Strong and Hannah Clapp. Silsbee is a descendant of their son Ebenezer and I am a descendant of their son Nathaniel. Family tree showing the descendants of Ebenezer Strong and Hannah Clapp. The connection is distant but fascinating enough to have pushed me to learn more about the various families in the region around Northampton and in early Massachusetts in general. 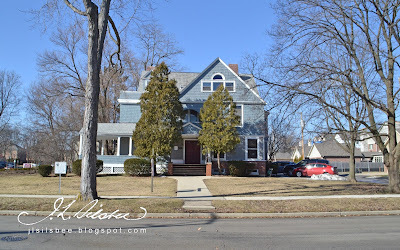 I've only added in a few of Silsbee's family to my tree but I am already seeing all sorts of interesting connections to families that he was associated with in Syracuse and Chicago. It is pretty clear that the social circles that were established in early New England seemed to remain somewhat intact when those families migrated to other parts of the country. Joseph Silsbee and some of his ancestors in my family tree. My calculated relationship to Joseph Silsbee is that he is my 5th cousin, 4 times removed. This research has been eye-opening and led me to believe that we are all related in some way or another if we dig deep enough but it will probably take me a while to digest that I am connected in some tenuous way to this figure that I have been studying for so long. I've witnessed the loss of quite a few Silsbee structures in my lifetime. Some, like the ones pictured below, had been so altered and become so dilapidated that it was hard to imagine how they could ever be re-used. There are also about a dozen structures, like the Oakwood Mortuary Chapel, that are in grave danger because they sit in a state of ruin and disuse. I guess it shouldn't surprise me when a community turns its back on a landmark-worthy structure and allows its demolition but it does. Between 1990 and 2010, these were three of the Silsbee-designed structures demolished in the city of Chicago. From left to right: The Kirkland School (1891), one of the Piper Row Homes (1887), and a House for John Cochran at Edgewater (1890). 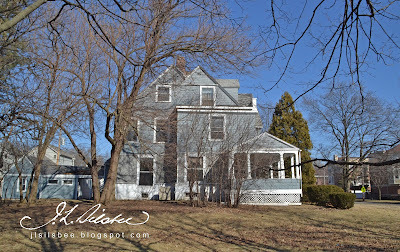 A home that will soon be added to the list of Silsbee structures demolished in my lifetime is the Thomas Drummond House in Wheaton, Illinois. Airhart Construction has been given approval by the City to demolish the home and make way for a new town home development. 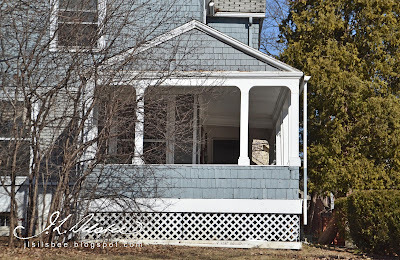 I've written about the Drummond house before but since its demise is imminent, I felt it was important to visit the home again for a final look. View of the Thomas Drummong House from West Street. I've watched the home deteriorate over the past 15 years. It has sat there with little to no maintenance or care so it isn't surprising that some people think its condition is beyond repair. The way it has been treated seems to be a common strategy for people that own old homes like this, holding on to them and then cashing them in for the value of land alone. This seems to be what Wheaton has had in its plan as I've also watched as this neighborhood has transformed to a street of modest yet nicely-designed single-family homes to a series of block-long town home developments. 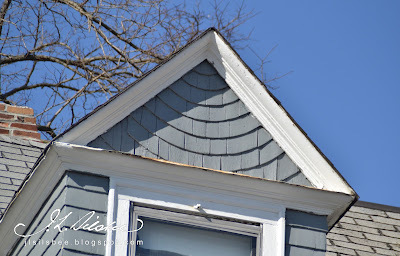 Most of Silsbee's shingle style homes have details that are borrowed from classical architecture. This is a view of the Paladian window in the front gable of the Thomas Drummond House. 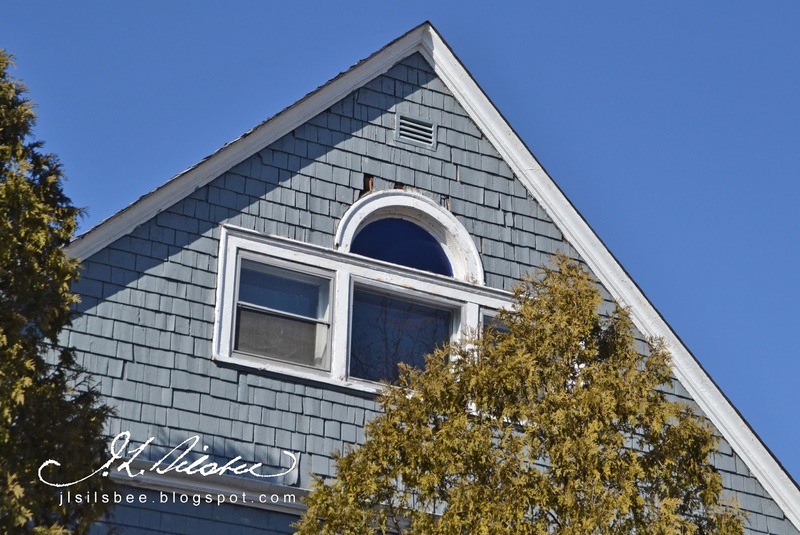 News for the home's demolition broke last October and the process of its fate has woven its way through the local Zoning Board and City Council. Preservationists didn't take much notice. What I always found interesting about the home was that it is precisely the kind of home that Silsbee's most famous employees, George Maher and Frank Lloyd Wright, would have worked on in that office. So few of these exist in the Chicago area that one would think that architecture buffs would find some interest in the loss. The folks at Prairie Mod seemed to take notice but otherwise, it didn't seem like much of a loss. View of the Drummond House from the alley to the north. Discussion of the property by City officials has remained focused on the new development and there is no record of people in community raising concerns about the loss of historical resources. 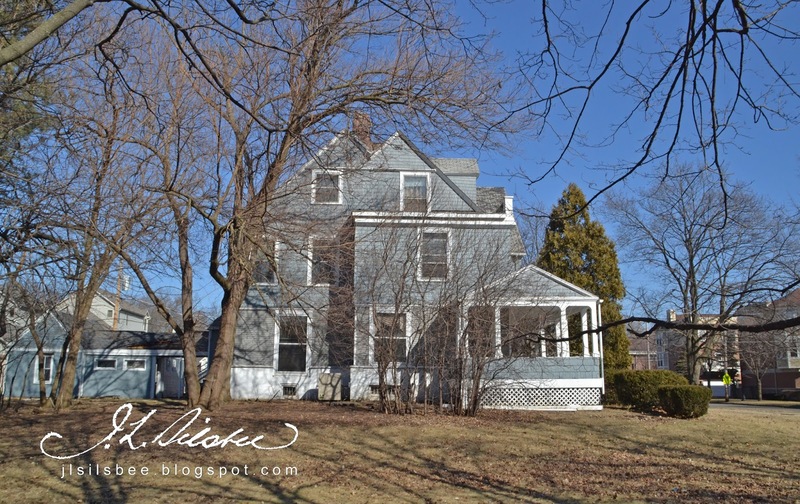 In addition to its unique position in architectural history, the structure was home to one of Wheaton's most prominent citizens. He had an interesting political and judicial history that seems worth of remembering. View of the Drummond House from the south with a view of the double-gable roof and open porch beneath. The home is not a grand mansion. It was meant as a retirement home for the judge. Though it is not elaborate, it is designed by a master and the home has many elements that became typical of his work: carefully detailed and well crafted exterior, long open veranda across the front and recessed porches in the second story. View of the end of the veranda, facing the south. Are there elements of the home that can teach us anything about the architect or the homeowner's history? 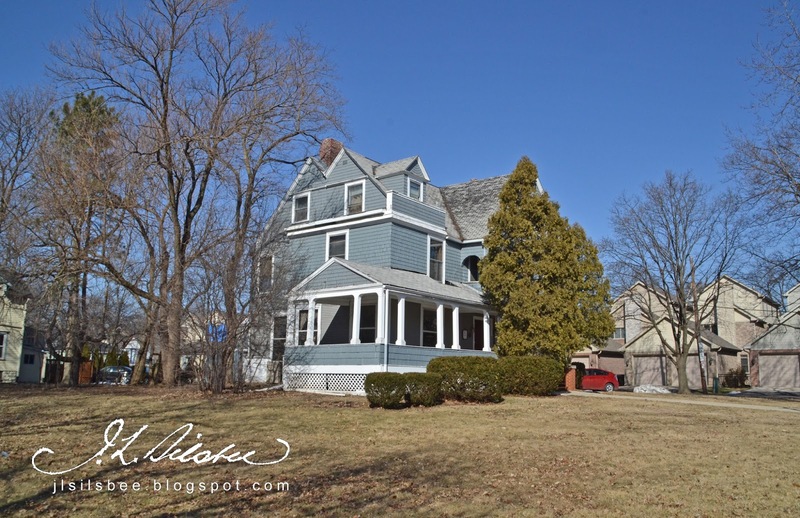 Is there a tangible loss to this neighborhood and to the City of Wheaton? Is there a cost to what we perceive as "economic development" that is actually working against communities with the "demolish and develop" mindset? Do we demolish so many of the unique historical aspects of the places where we live that there ends up being nothing special or attractive about those places? View of the Drummond House from the southeast. 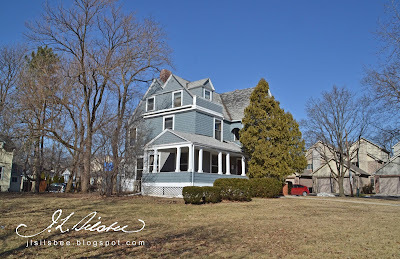 I feel that so little is widely known or appreciated about this home, its architect, or the man that built it, that it is hard to say what we are losing in terms of historic resources. I guess I have some photos to continue to sort all of this out. Unfortunately, we will lose the interior detailing, grand staircase, and fireplaces, so a great part of the home's history will simply be lost forever. To date, over 400 buildings by Silsbee and his firms have been uncovered yet no monograph exists cataloging his work and life. In the process of preparing a monograph on Silsbee's work, I am blogging a sampling of these structures with some information about each and its context to help organize my thoughts. Comments and additional information on buildings and clients are always appreciated. An architect living in Oak Park blogging about design, sustainable living, the built environment, food & drink and anything else that comes to mind.